After Verdi’s dissatisfaction with his second opera he nearly gave up, but thank goodness he didn’t because this third one is magnificent, apart from its rather weak ending. Placing the action in the 1940s rather than the original setting of 586 BC is a good idea, but it never really gelled and I found Daniele Abbado’s new production disappointing. The singing however was quite another matter. 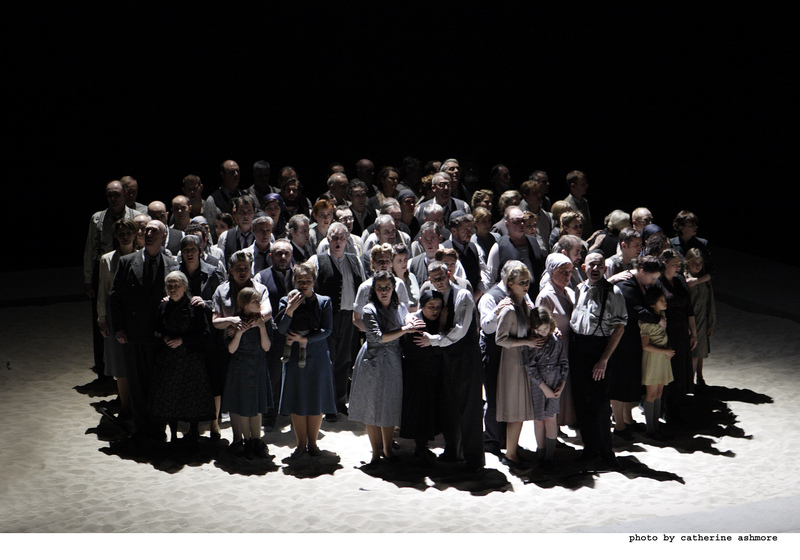 Ukrainian soprano Liudmyla Monastyrska was spectacular as Nabucco’s adopted daughter Abigail. 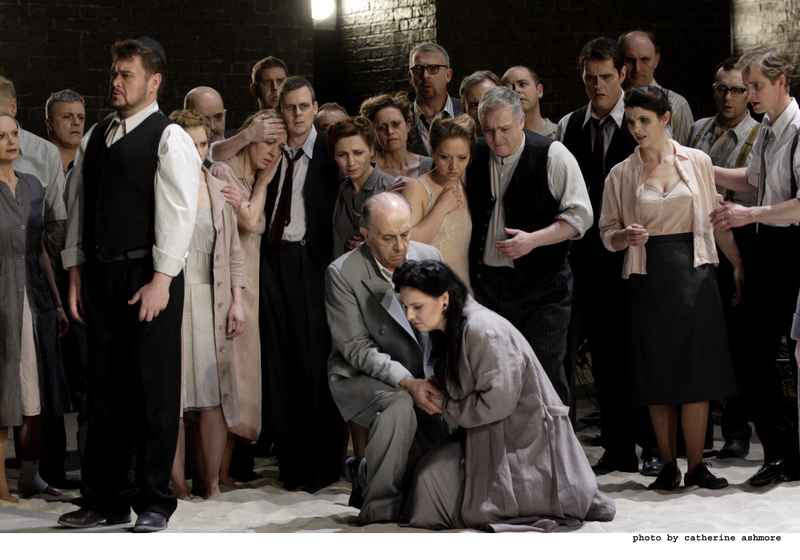 Covent Garden audiences who remember her terrific Lady Macbeth from June 2011 will know what to expect, and she certainly provided it, giving huge colour to a bland production. Her recitative, aria and cabaletta at the start of Act II were riveting — her voice so expressive and powerful. Her fellow Ukrainian, Vitalij Kowljow brought a full rich tone to the bass role of the Hebrew high priest Zaccaria, and Italian tenor Andrea Caré sang beautifully in the tenor role of Ismaele who is loved by both Abigail and her half-sister Fenena. Ismaele loves Fenena and although the heavy presence of Marianna Pizzolato in that role was rather lifeless, she sang with a lovely clarity of tone. Conducting by Nicola Luisotti showed great attention to the singers, and the chorus sang superbly, with a lovely Va pensiero in Act III. Leo Nucci as Nabucco showed very well the confusion that Solera’s libretto gives him after he calls himself a god, and then produced a glorious Act IV aria accepting the God of Israel. The cello solo when Abigail shows remorse was beautifully played, and Luisotti produced fine musicianship from the orchestra. From the Amphitheatre the movements of the chorus looked rather contrived, with one group of people waiting to move forward before another group moved aside, though it may have appeared more natural from lower in the House. And the video projections were not fully visible from the front row of the Amphi rendering them only partially visible to nearly half the audience — no wonder it was not liked from the greater heights of La Scala. The fact that it’s a co-production with Milan, Barcelona and Chicago doesn’t surprise me in these days of austerity, but if resources are scarce perhaps we should leave such minimalist new productions to the English National Opera, with Covent Garden concentrating on bringing in world class singers, which they have done here to great effect. Performances with this cast continue until April 8, and from April 15 to 26, Domingo takes over from Nucci — for details click here. On April 29 there will be a delayed live cinema screening, and it will be broadcast on BBC Radio 3 on June 8 at 6pm. This late work by Donizetti was written for a Viennese audience and first performed in May 1842, then revised for Paris in November the same year. It was a great success, but its rather silly plot is now little known, so I’ll give a brief synopsis. Linda is a very pretty peasant, loved by, and in love with, an apparently impecunious artist named Carlo. Unfortunately the local Marquis has designs on Linda, and her father Antonio is dependent on him for the renewal of their lease. To add to the complication, Carlo is the nephew of the Marquis, a fact hidden from everyone. But before things can come to a head, the young men arrange to go to Paris to perform as street entertainers during the winter months when there is no work, and the local Prefect persuades Linda’s father that she should go with them to keep out of the Marquis’s clutches. Carlo follows her, reveals his true identity, and in Paris sets up a stylish home with her. Carlo’s mother hears of it and makes immediate arrangements for her son to marry a member of the aristocracy. In the meantime, the Marquis visits to persuade Linda to leave with him, but is firmly rebuffed. Then Antonio visits seeking help, and when faced with his daughter, living in luxury, he disowns her. Now comes news of Carlo’s forthcoming marriage, and Linda goes mad. Unlike Lucia di Lammermoor however, this all ends happily. Linda returns to Chamounix with her friend, the orphan Pierotto, and is cured by the sound of music, first from Pierotto, then from Carlo, who sings the words they shared when they first met. The whole village then rejoices in anticipation of their wedding. Rather like Act I of Giselle in reverse. This was a concert performance, brilliantly conducted by Mark Elder, and the cast, headed by Elise Gutierrez as Linda, and Stephen Costello as a gloriously voiced Carlo, was excellent. 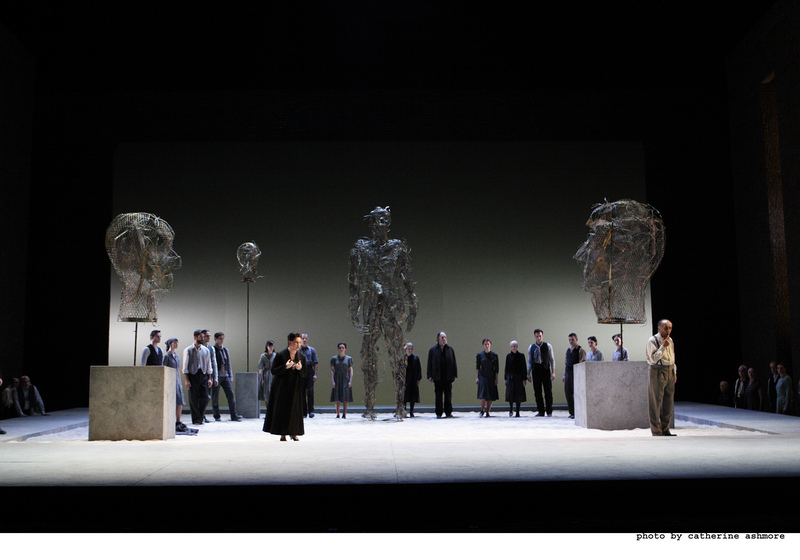 The father and mother, Antonio and Maddalena were strongly sung by Ludovic Tezier and Elizabeth Sikora, with Balint Szabo singing a firm bass as the Prefect, and Marianna Pizzolato in the contralto part of Pierotto. But the star of the show for me was Alessandro Corbelli as the Marquis. His voice expressed so well the pomposity of the role, and even his entrances and exits were comic masterpieces. He and the young American, Stephen Costello, who was making his debut at Covent Garden, were a delight to watch with their body language helping to express their feelings, even in this concert performance. Finally it’s worth mentioning that the stage was beautifully lit for the orchestra and chorus, and the dimmed lighting of the auditorium added to the effect, with the dome lit in blue from two lights in the orchestra pit. A very attractive ‘production’, even if it was merely a concert, and I would gladly see more unusual operas like this. An excellent start to the new season for the Royal Opera House.